The US government is considering establishing a direct military hotline with Iran after a series of close encounters between US and Iranian forces in the Persian Gulf, The Wall Street Journal reported late on Sunday. Citing unnamed US officials the newspaper, on its website, said the United States is especially worried about a fleet of speedboats likely controlled by the Islamic Revolutionary Guard Corps, Tehran’s elite military force. The high-performance boats, which can be equipped with missiles, regularly challenge US and allied warships that transit through the Persian Gulf, the report said. In recent months, a British destroyer fired warning shots at one of these boats as it appeared to be preparing to ram the larger ship, according to The Journal. 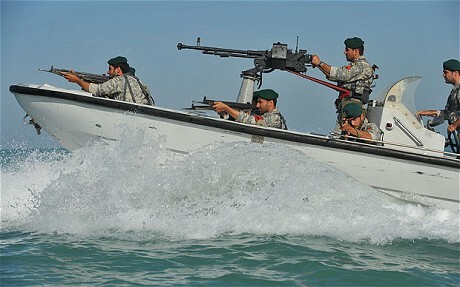 Iranian aircraft have also challenged US ships, the paper said. Fearing that a misunderstanding could lead to wider conflict, US officials are considering a formal proposal for emergency communications, the report said. At least initially, defence officials are most enthusiastic about expanding navy-to-navy contacts with Iran to prevent miscalculations, the paper said. But they remain wary of any direct engagement with the Islamic Revolutionary Guard Corps, due to its deep ties to Middle East militant groups that Washington has designated terrorist organisations, such as Hizbollah in Lebanon and Hamas in the Palestinian territories. It isn’t clear if the hotline proposal has been informally raised with Iran, possibly through Iraq, The Journal said. Iran’s president and foreign minister will be in New York this week to attend the annual UN General Assembly meeting.